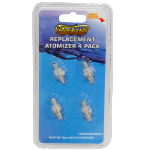 View cart “Replacement Atomizer 4 Pack” has been added to your cart. 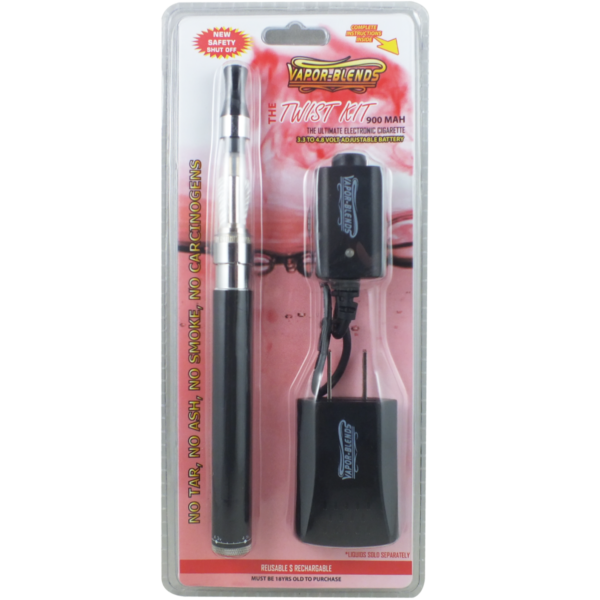 If you are looking for a customizable starter kit with long lasting battery life, look no further than our Vapor Blends Twist Kit. 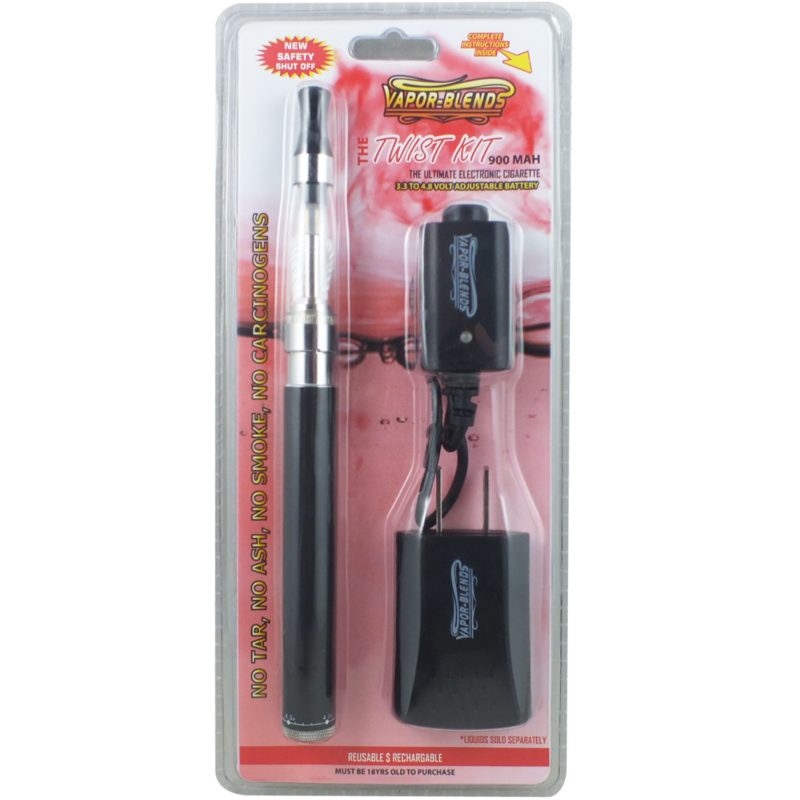 Our Twist Kit comes with a long lasting 900MAH battery for ultimate portability and durability. The battery unit also has a unique variable power feature which gives you the ability to customize the voltage in order to adjust the puff power to your liking. We understand that the ability to customize your e-cigarette kit is important, which is why it is at the forefront of our product development. As such, our Twist Kit is available in several assorted colors so that you can select the kit that best matches your personality and style. Here at Vapor Blends, our kits are built to last as all of our kits come with a unique safety shut-off feature in order to prevent battery damage due to overcharging or overheating. This means that you can have complete peace of mind when plugging in your Twist Kit to charge for long periods of time without having to worry about damaging its usability. I had already purchased one of these bad boys for myself and decided to get one for a buddy of mine. I was a little sad that they are currently out of stock so I sent Vapor-Blends a message about it. They got back to me within the next business day and hooked me up with a twist kit battery to my color preference and sent me all the accompanying pieces that go along with the full twist kit. I’m more than satisfied with this product and the high level of customer service I’ve received from this company. Lately I’ve been using the disposable tanks and playing around with different voltage settings on my twist kit battery. 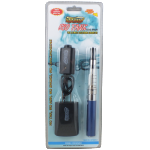 I’ve found that for use with the disposable tanks/clearomizers that the lowest voltage setting provides for the best flavor of the e-juices. I’m not sure what the voltage output is on the non-adjustable voltage batteries is, but if you like the no maintenance disposable tanks and are not experiencing your flavors like you’d like then I’d highly recommend that you get one of the twist kits. In my experience, being able to adjust the voltage has been well worth the small extra investment.